Reading Buses has now announced officially that the last day of operation on route 2 will be Saturday 5th May. Weekly tickets will not be sold after 30th April. From Tuesday 8th May route 702 will operate mostly between London Victoria and Legoland only. Three morning peak journeys will operate through from Reading and Bracknell and three evening peak journeys will operate through to Bracknell and Reading. There will also be a 09.30 departure from Bracknell to London designed for Concessionary Pass Holders. The new route 703 will also commence on Tuesday 8th May and will operate approximately hourly between Bracknell and Heathrow Airport Terminal 5. Buses will operate alternately either via North Ascot and Winkfield, or via the main road. Routes 702 and 703 will provide a combined half-hourly service between Legoland, Windsor, Slough and Langley. Reading Buses Streetlite 167 was recently painted from orange Woodley livery into red 22 livery, following the February service changes. However following a decision to allocate full-size buses to the revised 22, it has reappeared with Thames Valley Buses vinyls and was seen in Reading on 7th April - having been ironically pressed into service again on route 22! Therefore it seems likely that this vehicle will join the two Scania OmniCitys already at Slough, and this trio will be the regular vehicles for the new 703. For now, anyway. There is no news yet on any vehicle order for Green Line 702, or whether sufficient new vehicles will be ordered to operate the 703 as well. Therefore it seems likely that this vehicle will join the two Scania OmniCitys already at Slough, and this trio will be the regular vehicles for the new 703. For now, anyway. One would assume “for now” indeed, as RB’s LSP application for the 703 specifies double deck vehicles. The two Stagecoach Tridents now with Reading Buses are 18062/73 (WA04 CPZ/CSX). They’ve been allocated fleet numbers 536/7. I know it was part of the route 7 deal that Reading acquire 2 Stagecoach Tridents. Mind you, as Reading already have several generic spares, I doubt this was really necessary. Route 7 used to be the number for a Reading Station - Whitley Wood circular route! The new fleetnumbers 536-537 follow on from the ex-Panther Travel Trident (531) and ex-Blackpool (originally Bus Vannin) Tridents 532-535. This suggests they are destined for the "reserve fleet" of older buses which are used mainly on school and peak-hour duties. 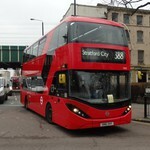 Any idea what's happening to 526 (ex Arriva DW29)? RVF states it's now withdrawn. Wonder where it'll head to next? Surprised to see it gone so soon as it only joined the fleet just under 3 years ago. They were loaned rather than sold - Courtney used them on their Legoland shuttle service 600 during the school holiday period. I don't know where the DWs are going next, but they seem to be in the process of being replaced by Dennis Tridents 531-537. I suppose 530 might survive as it had quite a bit spent on its refurb. Why does this appear on this forum? I’m a bit confused. Why shouldn’t it? It’s a post about buses on a bus forum. It’s a post about Reading Buses on a Reading Buses thread. It’s a post giving a possible reason why there was an unusual allocation on a route, in reply to a post about said unusual allocation on a route. Further expansion will see Reading Buses take in another area of Berkshire from July - Henley. They are to take on the local town services 151-154, currently provided by Whites Coaches until the end of June, using a refurbished single decker bus with “around” 33 seats and powered by biomethane gas. Reading Buses were one of three bidders - the other two being the incumbent Whites Coaches and Go-Ahead’s Oxford Bus Company. Service provision will also be increased to run between 7am and 7pm, rather than the current daytime offering between school runs on route 145C. The new service will also take in the Townlands Memorial Hospital, railway station and the under construction Highlands Park housing development. More information on the exact format of the new service(s) has not yet been revealed, but it is hoped these measures could help make the service commercially viable within the next 3-5 years. It appears that the gas-powered Optare Solos acquired from Stagecoach East Midlands will be used, and at least one will gain a special livery for the routes. The service was being subsidised by the Town Council following withdrawal of funding by Oxfordshire County Council, but under the new regime will be supported by Section 106 grants from local property developers. 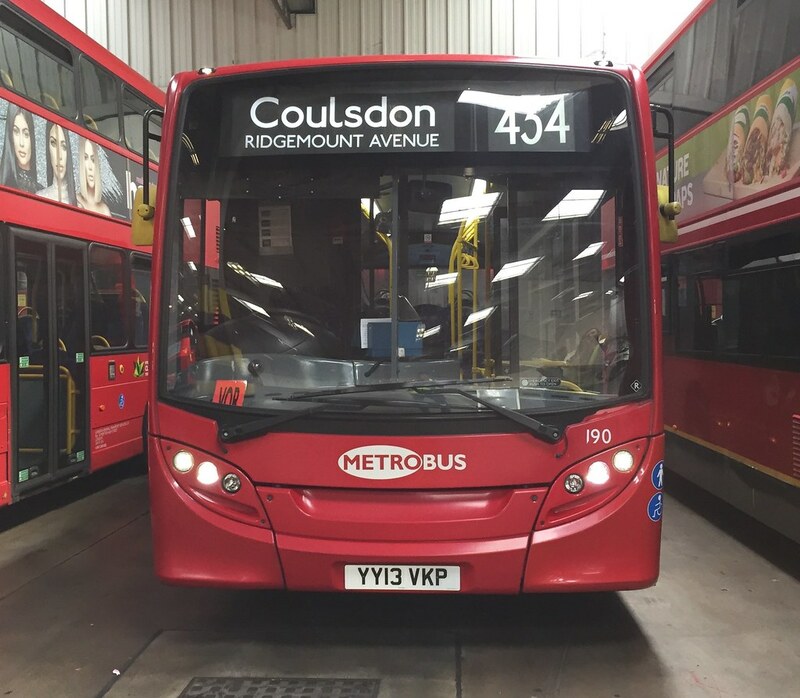 Reading Buses will be putting together a small team of dedicated drivers. The bus will be based at Great Knollys Street, but changeovers and driver breaks during the day will take place in Henley. It's interesting how many councils in largely Tory Berkshire seem to have no compunction about using a company that is 100% municipally-owned - by someone else!